You Are Here: Home > SAVE UP TO $100 ON NEW TIRES! Save up to $100 on NEW TIRES! 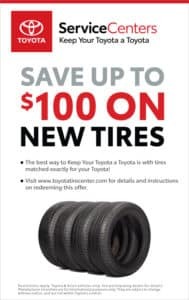 We have up to $100 off of select tires on ToyotaTireCenter.com. 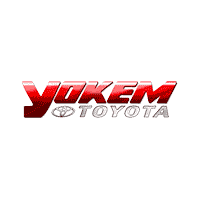 Please ask your Assistant Sales Manager (ASM) for more details.